Thoughts and convictions on few issues which impel people to vacillate. Below I have listed down my requisitions and the possible reply from the great almighty on them. To be able to make someone smile when he/she is on the verge of crying. To be able to fulfill the request of my girlfriend of having fuchka (panipuri) at 2.00 am. To be able to ‘stonify’ a politician at the very instant he/she is neglecting the electorates. To be able to fetch every single beggar out of their misery and give them a suitable job. To be able to refund the last 24 years of my parents’ life which have been full of compromises because of me. To be able to disappear from office in a day when I need time for myself, without facing consequences the next day. What!! Are you kidding me?? To be able to shield the earth from natural disasters like Tsunami, Earthquake and likewise. To be able to visit King’s Landing of Game of Thrones and attend a wedding where nobody dies. To be able to visit the apartment of Leonard Hofstadter and Sheldon Cooper of The Big Bang Theory, and laugh my heart out with Sheldon while sitting on 'his spot'. Athicas, Amrit Kalas, Au Bon Pain: The three eating joints which served us when we were hungry or frustrated or elated. Bidding for hostel blocks & subjects. 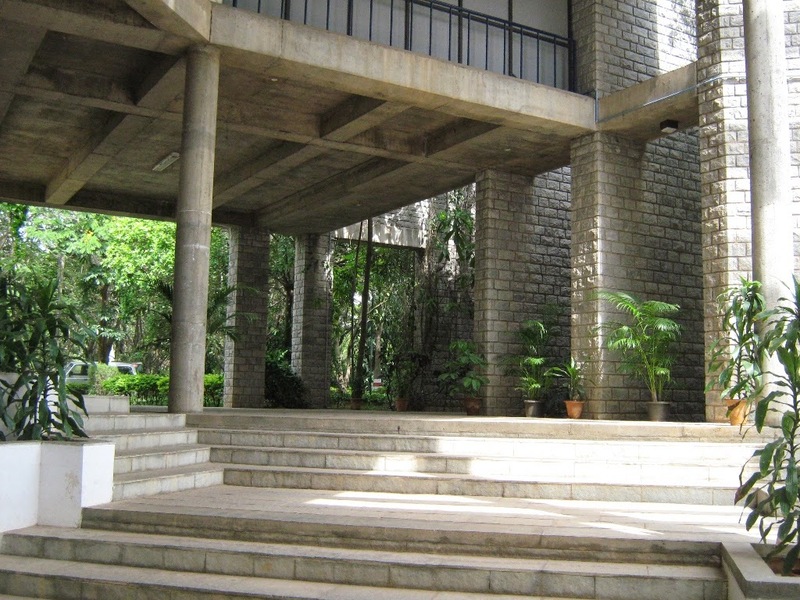 ConB: The most difficult and hyped subject at IIMB; Class Participation: The pervasive act of students across all classes to get some more marks. Deadlines: The time of 23:59:59, I am sure nobody in IIMB will ever forget. EPGP Block: Unanimous meeting place just before the project deadlines become red; Eximius: the entrepreneurship fest of IIMB. The first chance of earning some resume points and make oneself feel good. Failures: One thing many students learn after he/she gets graduated, is how to handle failures which many of them might not have experienced before coming here. Group study: The only tactics of survival before mid terms and end terms. Hostel: Needs no introduction; Hooshing: Painful process of loving the birthday boy/girl in a 'thumping way'. Internet Speed: You will understand this when a movie finishes downloading within 10 mins. Jargons: Lots and lots of them, sprinkled across the two years curriculum. L^2: The unanimous place for parties, located at the crossing of A, B and E block hostel. MDC: The place where students laugh and cry at the time of placements; MARS: A retail shop run be students, one stop shop for all immediate needs. Night Canteen: The only thing that gets us going at 1.30 am. Placements: The most anticipated event for all the students. Park & Eat: delicious masala maggi, maharaja maggi, chilli maggi, paratha, fried rice and the list keeps going. Quizzes: You will lose count of them after term II. RG: The black energy of IIMB that persuades few students inside its clasp and impels them to act in a selfish way to get more grades in a Relative Grading system. Smart Guy Salon: Yes you heard it right. The administration has made it sure that students get all their needs addressed inside the campus. T.A.M.S. : The portal to check the attendance of a student. Few students immediately visit the site just after entering the class to check whether they have arrived in time. 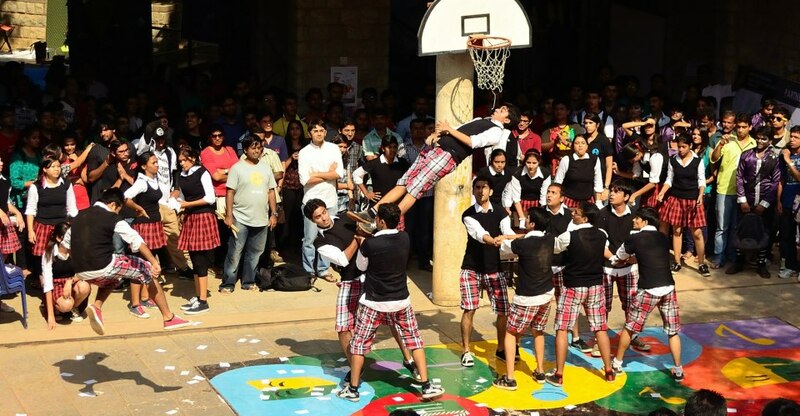 Unmaad: The cultural fest of IIMB. The whole campus sheds the worry for deadlines and comes out to enjoy. Vista: The business fest of IIMB, one of the last chances for obtaining few resume points before the dreaded summer placements. Water Tank: The tank, made popular by 3 Idiots (the movie), is the desire every student wishes to fulfill before getting graduated. Xerox: Lots and lots of them on the eve of open book exams. Yawning: The only thing that lasts the full 90 mins of a class, be it in the morning, in the afternoon or in the evening. Zzzz…: A very rare thing and sometimes gathers more importance over food. Recently I finished reading this book. It is a must read for every Indian at least. Most of the history books, we have read so far, depict history only till the death of Gandhi. Not many tell about what happened after that mighty tree fell. This book clarifies all of those doubts. On most of the parts the writing is unbiased. Though, for a few parts I felt it chastised BJP and the Left more vigorously than Congress. Many would feel that the book might be from the viewpoint of a Gandhi follower and it would be full of prejudices. The only thing to increase the credibility of the book and square off the doubts of the critics is the 95 page note at the end of the book containing the references to all the periodicals, newspaper reports, magazines, secondary accounts, primary interviews, scholarly articles, interview transcripts and other sources the author has referred while writing this masterpiece. 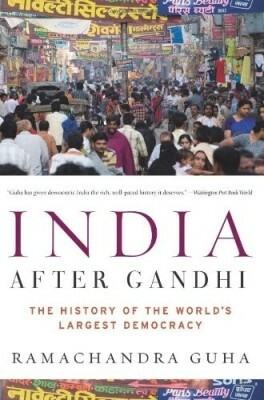 Ramachandra Guha has very cleverly arranged the book chronologically starting with the Nehru Period, Lal Bahadur Shastri, Indira regime, the much controversial emergency of 70's, brief regime of Janata Party, Operation Bluestar, death of Indira Gandhi, emergence of the hitherto apolitical Rajiv Gandhi, the Bofors scandal, liberalization of 1991 and so on so forth. All the important incidents like bringing the princely states under the Union of India, state reorganization based on linguistic premises, struggle of the minorities and backward castes, continuous insurgencies in Kashmir, Nagaland and Punjab, the evolution of planning commission through the years, passing a bill about Hindu marriage overriding the hitherto archaic one, foreign policy regarding USA China USSR Pakistan and Sri Lanka, unnumbered famines & religious riots, liberation of Bangladesh, the war with China in 1962, secessionist movements in Kashmir Valley and Nagaland and a lot other things are sprinkled evenly throughout the book based on the time-frame and regime it fell under. Apart from the enriching information given in the book, one other thing that is sure going to sway you off your feet is its rich literary value. With such delicate use of the English language the book surely creates an aura of urgency inside even the ones who don't like to read novels much. After completing this piece of work, the gaps and confusion of the reader regarding the formation of world's largest democracy will surely fade away. After the first day of unilateral disappointments (Link to Part 1), my idea of corruption and inefficiency in the present govt. structure perpetuated. Anyway the next couple of days and the anti-climax after that had deepened it further. By virtue of my first visit I had already known by now that the NOC (or the 'Particulars' as they call it at the office) distribution process would start after 5.00 pm. So, I planned my travel accordingly and reached the RTO office around 5.00 pm on 21st April. Even though Mr. D asked me to come 3 days later, I recalculated the usual delay in govt. office, the don't care attitude of most of the govt. officials towards the normal people, and the inherent inefficiency in the system and thus decided to visit the office after good 14 days of my first visit. I had high hopes of getting my work done on that day itself. As usual the process was running late and it did not start yet. I waited there with my hands giving support to my cheek while I bend over the counter to get a sight of Mr. D. Suddenly he appeared from front with a half burn beedi, between his fingers, pointing towards me. I asked him to come as I had a question to ask. I showed him my receipt of application copy and asked him to give my NOC. He stood perplexed and puzzled and after just 5 secs returned my copy and asked me to come back again after 3 days. I was determined this time to know the real reason behind this. I tried to reason with him on the basis of reality and expectation. I told him that notwithstanding the fact I came to collect my NOC after 14 days whereas I was asked to do the same after 3-4 days only, I still could not get the work done. I told him that I was not from Kolkata, and I had to go through an exhaustive travel of 3.5 hours by local train, metro, bus to reach the office. Hence, I demanded a realistic deadline from him. He felt bulldozed by the sturdiness of my arguments and asked me my copy of receipt again and after some search here and there in the corners of the files he asked me to come 2 days later. I felt that I was getting habituated to this treatment when the disappointment from this incident transformed itself into my indifference towards the behavior of Mr. D. It was already 6.30 pm by then and I rushed out of the office with a hope of catching the Hasnabad Local (local train to my place) of 7.45 pm from Sealdah station. Now the D-day had come. It was 26th April. I had high expectation this time as usual. But for a change the day seemed like a more optimistic one. I entered into the office, found Mr. D with the usual proceedings and asked him about my case. He asked for the receipt. For a change instead of giving a disappointing reply, he gave me my NOC (or rather 'Particulars' as they call it). I was overjoyed, my hands almost wanted to go out into the air while I looked at the piece of paper like it was the most important paper of my life. After performing my 'due diligence' with Mr. D, I left the office hoping that it was the last time I had to visit that ramshackle structure again in my life. Thus, such a small and insignificant work like getting a printout of your driving license details can be so strenuous, exhausting, disappointing in a set up of a govt. office. The aftermath of getting the NOC turned out to be an anti-climax. When I tried to submit this piece of paper ('Particulars' as they named it at Alipore RTO) as an NOC from my previous license jurisdiction office, it was rejected as a document that can act as an NOC. The officials at the new office said that the phrase 'NOC' as not written anywhere in the document. Hence, it would not work. All the pains that I bore all these days in local train, in heat wave at the streets of Kolkata, the disappointment at the ignorance of the govt officials and similar other things came to a void instantly. I felt that I was sitting on a floor and the arrows of derision were coming towards me from all the govt offices around me. If you are feeling too relieved or relaxed in life and the world seems serene to you, just visit your nearest govt office to suffer instant disillusionment. This highly cynical statement is coming from a backdrop of series of disappointments while I continue to visit several govt offices. In this post let me discuss one such experience. Occasion: Getting an NOC from the office on my driving license. NOC is required when one wishes to change the address of his driving license. Characters Involved: The applicant (me), the person at the cash counter (Mr. C), the person at the requisition receipt counter (Mr. R), the Additional Officer (Mr. A), two persons at unknown counters (Mr. U1 and Mr. U2), a middleman (Mr. M), a person over the counter giving referral to the middleman (Mr. R), and finally the person who distributes the NOC (Mr. D). On April 7th I visited the RTO, guided by Google Map. I reached the office at 11.00 am. I was completely clueless as to what needed to be done as there was no clear directive even in internet. So, I started asking people. First it took me half an hour to figure out where to ask about the NOC. Anyway after roaming and rushing like a clueless fly and asking few security guards, I zeroed in on a counter. Now, I asked Mr. U1 (who was sitting over the counter) that I needed to change the address of my driving license. He directed me to an empty counter. After standing there for half an hour, I returned to observe that Mr. U1 was still leisurely sitting on his chair and eating bhujias (a snack). I asked him again and got directed to a different counter now with a never ending line queuing in front of me. Realizing that it was going nowhere I asked a second person (Mr. U2) for assistance. He directed me to Mr. R who was surprisingly the correct person (discovered later) to do the task! Anyway, elated by my astounding luck of finding the required person just within an hour, I stood in the line in front of the counter presided by Mr. R. After one hour when finally my turn came, Mr. R told me to go to Mr. C and ask about the same. However, he did not tell anything about what else I needed to do. In the meantime one person (Mr. M), dubious in nature, came to me and asked what was my requirement. He identified himself as a person working in that office. I explicitly asked it to confirm that I was not dealing with a middleman. Anyways failing to discover his real identity, I started following his instructions, bought a form, gave him my document photocopies. Then suddenly when he stood in the queue I asked him again whether he was a middleman or not and also informed him that I would give him no extra money for doing this in lieu of me. He said that he would charge Rs 550/- for the task. I was dumbstruck, because the task required only Rs 50/- as I had seen in the internet. So, without a second thought, I did write him off and asked another person over the counter (Mr. R) as to what needed to be done. To my surprise, Mr. R referred me back to the middleman (Mr. M). Anyways with an ignorant reaction to the referral I marched to the counter presided by Mr. C (As Mr. R told me to go to Mr. C before I met the middleman). With the unscrupulous skeleton of govt. office getting revealed in front of me unabashedly, I stood there in the long queue for nearly an hour. In the meantime the printer went dysfunctional, and feeling curious I asked Mr C whether he was the right person to attend my task. He denied it outright and directed me to Mr. R again. Fuming in the heat of 40 degrees outside and covered in my sweat I went to Mr. R and told him about the crisscross incident in a determined voice with a tone asking for an explanation. He seemed on a back-foot and told me to get a receipt from Mr. C first and then submit it to him later. However they never mentioned anything about getting a signature from the ARTO. I came to know about that when the middleman Mr. M was handling my things. So, I went directly to the ARTO, got it approved and then went with that to Mr C directly. There was a huge line. The representatives of local driving schools crowded the place with their pile of application . The pile never got over because they kept pushing new application at the end of the pile and it seemed impossible for me to get any receipt from that place on that day. Suddenly the rebel inside me broke out. It was obvious that the man at the counter has some financial understandings with the driving schools. So, I shouted how can a normal citizen like me get his work done at that situation. He seemed concerned (!) and asked my application and I got my receipt 15 mins later. There were other people like me, manhandled by the driving school-Mr. C coalition. They also started shouting their case. I looked at the clock. It was already 3.00 pm. With the receipt in my hand as a certificate of achievement, I went to Mr. R. There was a huge line! Anyways I submitted my receipt after squabbling and haggling the crowd for good 45 mins. Feeling satisfied at the progress at the end, I waited only to be told later that the distribution would start at 5 pm. So, I roamed outside for almost 1.5 hours while the heat wave continued ruthlessly outside the streets of Kolkata. I returned to the office at 5 pm as was told to me and I stood in the queue. A different person Mr. D was in charge of the task. I showed him my receipt and asked whether the paper they would give me can be used as an NOC from this office. He nodded positively! Anyways the distribution started at 5.45 pm finally. All the driving school representatives got their documents with a payment of Rs. 50/- per copy. A notable thing here was, the distribution was supposed to be free of cost. The extra Rs. 50/- paid to Mr D was less popularly known as the kharchapani (bribe) in this part of the continent. When finally my turn came, I gave my receipt to him, and he told me to come back after 3-4 days. I was silent, angry, disappointed, exhausted and the only thoughts that came in my mind was why did he not tell this to me before. He kept me waiting for a full 2.5 hours in spite of knowing that my task would not be completed in a day. How could an outsider, a common citizen know of this if they didn't display a charter or at least informed the Samaritan when should he/she come. Anyway, at the end I returned from the office silently only to face greater disappointments the next day I visited the office again. The word 'Reservation' can be linked with train reservation, hotel reservation, forest reservation or even tiger reservation. But the scope of this topic in this article is much contentious than all of these. The scope of this article is the reservation of SC/ST/OBC in education and related fields. A small disclaimer in front of the reader - the thoughts presented in this article are purely my personal views and they are not meant to offend any class or caste. The whole story took shape when Babasaheb Ambedkar put the clause of reservation of backward classes in the constitution of India. The primary motive was to provide equal opportunity to a section of the society who were neglected and looked down upon for a very long time. From reports it was reckoned that the clause was put for 10 years only. But the govt. took it as a populist measure for vote bank politics even after the intended tenure was exhausted, and kept on extending it for every 10 years. Now, is this system justified in maintaining a quota for the backward class certificate holders in certain exams or jobs? I suppose two kinds of responses would come for this question. First, people who are in a disadvantage because of the caste system would fume in anger and vociferously speak against it. Second, people who are enjoying this benefit or people who are in search for populist measures would speak with a suppressed voice for this clause. But, let us look at the issue from a wider perspective rather than taking two extremes and promoting bad blood between the two sections of the society, thereby defeating the whole purpose of Mr. Ambedkar. Today there are broadly four sections of people in our society. People who don't have a caste certificate and are economically poor. People who don't have a caste certificate and are economically balanced. People who have a caste certificate and are economically poor. People who have a caste certificate and are economically balanced. Presently, among these four section only (3) and (4) benefits from the provisions of reservation. Whereas, as per the basic motive of reservation section (1) and (3) should have benefited from it. So, in the present scenario the so called 'General' students who are economically poor are being denied what they should have got, whereas the so called 'Backward Class' students who are economically balanced are exploiting the system and defeating the purpose of one of the greatest nation builders of this country. As a responsible citizen rather that grunting over the present problem, let us propose a viable solution that should be more justified in the current situation. The reservation based system should provide benefits to only sections (1) and (3). Every family should be provided an income based certificate. For people who are already giving income tax, the tax file document should serve as their income certificate. But problem arises for the huge section of the society who do not pay income tax or neither have a bank account. A three pronged approach should be adopted by the govt to solve the issue. First, the banks/post offices of an area are to be mandated to open bank/post office account for every person in that area who approach them. Usually, banks do not show interest in opening account for small scale farmers or business man. The mandate would empower people who approached banks but failed to have a bank account so far. For them, the bank account may serve as their income certificate. Second, for people who do not go to banks/post offices at all and believes in SHG (Self Help Groups), Microfinance or NBFC; the govt. should ask the SHG, Microfinance or NBFC to submit yearly documents to the tax dept with details of every person registered with them. Every SHG/NBFC/Micrifinance need to ask for unique ID proof before getting any person registered with them. Third, roll out a campaign asking every citizen of India to get an unique ID, and an income proof. The campaign should also talk about the mandates that the Govt. has given to banks/post office on opening bank accounts for every one. Every citizen must be made aware of the impending change. Next approach would be to ask for family income rather than category in every application form. With this change people would be persuaded to get an income certificate for their own family and the inequality & the exploitation that exists presently would be reduced by at least 80-85%. Now, to complement this change a review committee has to be formed that should function in every three years. As we all know, inflation distorts the price of goods and services every year. Hence, the sole purpose of the committee would be to recalculate the feasible income level for the next three years that should be brought under reservation. This way section (1) which is currently denied their rights could be provided justice and an effective step towards all inclusive growth that India dreams of would be achieved.